Are you on the same page regarding money matters? 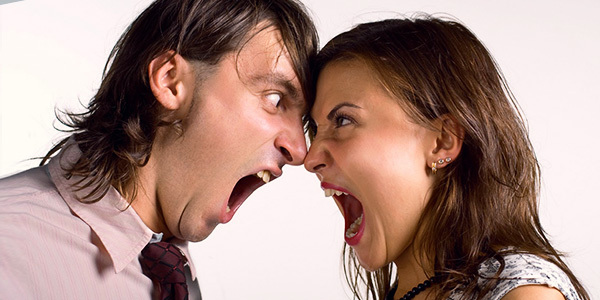 Find out how you can avoid heated arguments with your spouse regarding money. Usually, people start a journey knowing all the facts related to each other. So, why not with money? Are you loyal to your partner about all the financial issues? It's quite important. Researches have found out that the couples who fly off the handle easily are more prone to develop chest pain, high blood pressure along with other health related issues. So, don’t let that happen to you because of money-related issues. A conversation on money plays an important role in a good relationship. Not only talking to each other is important, but also you should stay on the same money page when you begin a relation and want to move far. But sometimes, it becomes very tough to talk about money before or even after marriage. It’s not always an easy task to share views about money with partners. But do you ever press a pause button and think about the reasons for not sharing your views about money? Maybe you had an assumption or fear for separation or fight! But start thinking it in this way! You hardly make any decision without thinking about money. A Starbucks coffee every day, a long drive, a holiday, shopping - everything is related to money. Do not hurt your financial relationship. Following are some tips for starting a good talk with your spouse. If you don't start now, you'll never. You have so many things to do every day! If you can pay attention to your work, your child's dentist, a kitty party, vacations, so why not to your finance? You can improve your lifestyle if you give a little attention to money along with other things in your life. So, start thinking about the credit cards bills and your monthly expenses. Discuss with your partner and divide the responsibility of money related tasks like electric bills, household expenses, payment for savings accounts, etc. Your combined earning - You need to plan certain things - Whether or not both of you will work, especially when you plan for a kid. How much you’re spending - Decide - What issues you’ll decide together. Confused? Don’t be! Both of you need to jot down the items on which you’ll have a discussion before buying them. It can be a dollar amount or a specific item. For example, both of you might decide you’ll discuss with one another is anyone of you wants to purchase an item more than $200 or buying something other than your personal items. Amount you’re able to save - The saving strategy - One of the most important things! Decide how each one of you will contribute to the dollar amount you want to save every month. Also, have a goal for which you’re saving. It might be a common goal or separate goals. Keeping a track of your money - You need to track where your money is going. Yes! You need to plan a suitable budget. So, decide how you will divide your financial tasks. For example, one of you take the responsibility to pay the bills on time, and the other one ensure to check whether or not the charges are accurate. If there’s any inaccurate charge, dispute it. Investment with better ROI - You shouldn’t plan an investment without discussing it with one another. Always assess the risks and the potential ROI (Return On Investment) of any investment. How to build wealth - Both of you need to plan for your retirement along with your children’s education, buying house, etc. Most important - Your dates shouldn’t always revolve around money. You can have a money date once a month or once a fortnight. Even if you’re discussing money-related issues once a week, you should have time for each other for light conversation and simple enjoyment. Don’t always start talking about money. If you are playing the role of a financial manager in your relation, then you should share the load related to finances with your spouse. If you are facing a big money problem, try to make him/her understand the value of the situation. Take your partner out to discuss the money hurdles. You may get a solution after the discussion. Thus, you can get a healthy financial life together. When assessing the money behavior of your partner, address financial problems (if any) as a friend, not as an adviser. Start planning about your future financial status as soon as possible. Both of you discuss and decide about the retirement age, savings, etc. It will help you to decide if a single income will be enough for your family or both of you should work for a secured future. Be very clean with your partner about your history with money. Share your money habits, your debts, and your spending habits. Unmask all the truth with your partner. If you've made any money mistake in past, confide in your partner at the beginning of your relationship. When you declare your money rules, you should follow the rule first. Try to follow your own rule and have a grip on spending. Your money rule will help you to stay on the same money page. Thus you can handle money issues together. Money issues can be very distressing in a relationship. Disagreements with spouse over finances are the primary reasons for divorce. A serious argument can be very gloomy when the subject is money for couples. So, you should avoid some mistakes when dealing with money in a committed relationship. Find out the money personality: If you want to stop fighting over money, find out each other's money personalities. A saver always wants to have lunch at home on a holiday. On the other hand, a spender wants to visit good restaurants to have lunch. Once you understand both of your perception of finances, it will help you to avoid a fight about money. Stop blaming: If your partner has committed a money mistake in past, do not blame him/her. Try to listen to the problem first and solve it together. Visit a money coach in case your spouse has big money issues. Be very honest: Try to be honest with each other even with money. Realize some true facts that it’s both of your duty to manage household finance. So, keep it in mind when you are together and dealing with money. Do not burden your spouse with the responsibility of solving all money problems. Try to deal with all money hurdles together. Do set a plan for talking about finance. Do share your thoughts with your spouse. Do be very honest with your money. Do confess about your financial infidelity. Don't start talking about money when your spouse is busy with his or her work. Don't start money talk when your spouse is looking for a fun time with you. Don't talk about money when you are already angry for certain reasons. Don't make your spouse stressed over money issues. It so good to work together as a team and deal with money. Olivia Mellan, a money coach and author of Money Harmony: Resolving Money Conflicts in Your Life and Relationships said, "Money doesn't just represent money; it represents love, power, control, self-esteem, freedom." Remember, good communication can resolve hardest money issues. So, take time and start talking about money with your honey! This participation will make your spouse, even more, closer towards you! Don't miss out: Is financial infidelity as catastrophic as sexual infidelity?